BRYAN EATON/Staff Photo. It's hard escaping from the shadow of the tall ship El Galeon on Newburyport's waterfront. 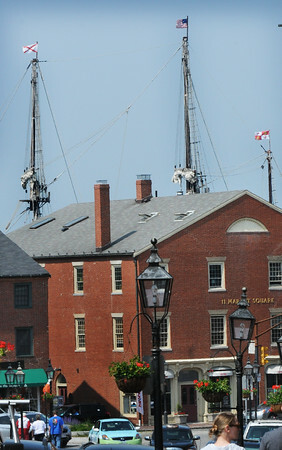 The three masts can be seen in a photo taken from State Street at Pleasant.